[When I woke] I instantly remembered that it was Midsummer Eve, my very favourite day, and lay awake looking forward to it and planning my rites on the mound. They seemed all the more valuable because I wondered if it might not be my last year for them… it would be dreadful to perform them just as an affected pose… We first held the rites when I was nine – I got the idea from a book on folklore. Mother thought them unsuitable for Christian little girls (I remember my astonishment at being called a Christian) and she was worried in case our dresses caught alight when we danced round our votive fire…. [The flowers for the rite] have to be wild flowers… mallow, campion and bluebells for the garland to hang round our necks, foxgloves to carry, and we always wore wild roses in our hair… I gave the flowers a long drink – wild ones die so quickly without water that I never make my garland before 7 o’clock. By then I had collected enough twigs to start the fire – Stephen always takes the logs up for me – and packed my basket. When I finished my garland, it was nearly eight and a pale moon was coming up though the sky was still blue. 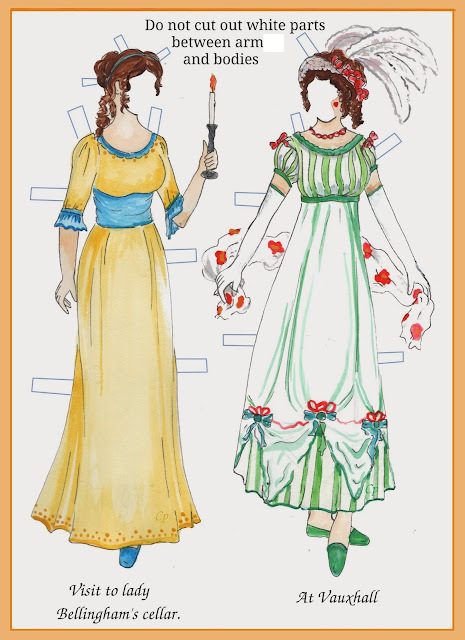 I changed into my green linen frock and put on my garland and wild roses; then, at the very last minute, I opened Rose’s scent. observations: This extract does not show Cassandra to best effect – she is a lot less twee and cute than it makes her sound. But in the context of the book, the whole day of the rites is beautifully done, and leads to a key scene in the plot. The description of a summer's day, as the temperature rises and the other residents of the castle leave one by one, and what she does on her own, is strange and memorable. Her rites are going to be interrupted by someone, and everyone’s future will change dramatically – eventually. This is a desert island book for a lot of people, mostly (but not only) women – a book they can read over and over – see more discussion here. Links up with: I Capture the Castle has featured before, as has the same author’s The Town in Bloom. 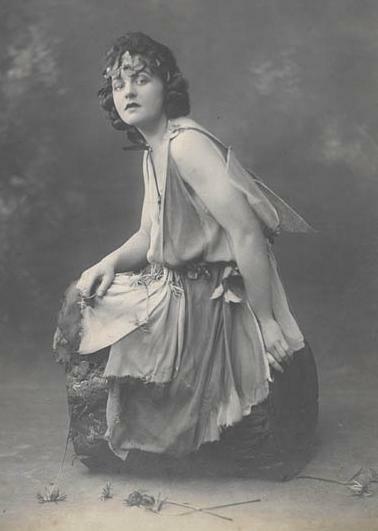 Dodie Smith is best-known for her children’s book, 101 Dalmatians; the picture happens to be of another children’s author – PL Travers, creator of Mary Poppins – playing Titania in Midsummer’s Night Dream. It comes from the State Library of New South Wales. I love the line 'I remember my astonishment at being called a Christian.' Last night in Ireland we celebrated St John's eve by lighting bonfires and generally making merry - a throwback to Druidical times in this most Catholic of countries! J - the thing is, you can read it over and over and always enjoy it just as much, I find, it's a true reliable pleasure, like chocolate. A - now is that different from beltane? - I get confused. (We had a family email argument about how to spell beltane recently, Anglicized vs Gaelic I suppose.) I don't think I knew that you'd actually be out dancing round the fire! The Celtic Festival of Beltane (Beltain, Beltainne, Beltaine, Bealtaine) is a Cross Quarter Day, half way between the Spring Equinox and the Summer Solstice. While the Beltane Festival is now associated with May 1st, the actual astronomical date is a number of days later, for 2012 the date is May 5th.